ABS Wall fitting for the HydroAir Slimline suction covers. Note the small locking tab and internal thread to secure cover. 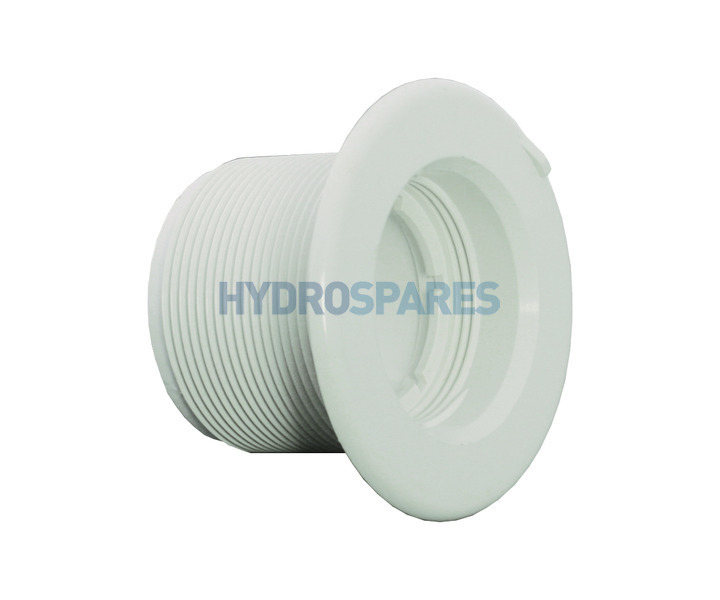 58mm thread Ø will fit most suction nuts or elbows on the rear of the bath. To determine the correct length of wall fitting take into account the suction nut/elbow thread depth and bath wall thickness.